Is Chinese Language Easy to Learn? Most people who I have talked to me about the subject have said that Chinese is hard. Does it mean that it’s true? Not necessarily. Even though 99% of people would say that the Earth is flat, it doesn’t mean that it would be. I have found that there are still many general misconceptions about learning languages. And one of the most common ones is that languages would be hard, especially Chinese. Today we will learn why Chinese is easy and I will show you the guide by Benny Lewis. What Is “Why Chinese Is Easy”? We have already learned from Benny Lewis that Spanish, French, Italian and German are all easy to learn. But what about Chinese? Benny Lewis, the author of this guide, has learned more than 13 languages. He says that Chinese was much easier to learn than Spanish or French, for example. Why? Because he knew right methods and had a right mindset. 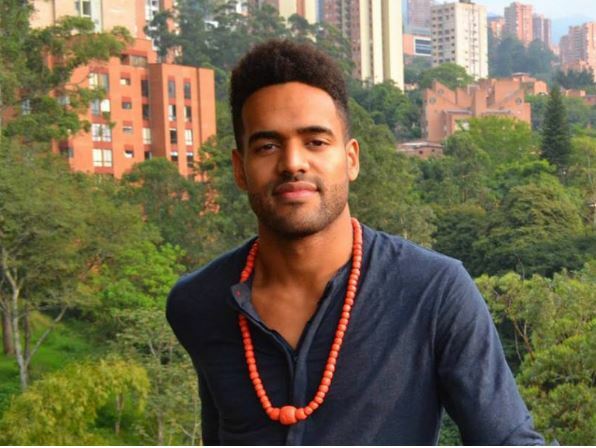 When he was 21 years old and couldn’t speak any other than his mother tongue, he didn’t know how he could have learned Spanish. So, it was the hardest languages he had ever learned. This proves the point that learning a new language depends 80-90% on our mindset and only 10-20% about technical things like grammar. In “Why Chinese Is Easy” -learning guide Benny Lewis will shortly explain about his story of learning Chinese. He explains how to have the right mindset and the start for Chinese. In addition, he explains concrete things like Speaking Mandarin, Chinese Characters, Chinese Words, and Grammar. As you may already know from Benny’s other guides, he gives very practical and down-to-earth tips that can help you in practice. Instead of giving some very “academic” advice, he concentrates helping you to speak Chinese more easily and while having fun. By the way, have you ever realized that Chinese is a human language any other? People use it to tell funny jokes, say cute things to their girlfriends, send text messages, motivate each other and all other things that people do in their mother tongue. It’s not more complicated than that. 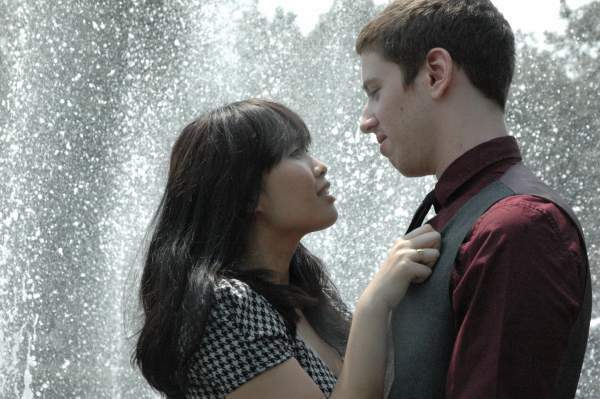 Is Chinese Also a Romantic Language? What Do You Think? I want to share you a few highlights from Benny’s book. Of course, I can’t share all of it but something that may open your eyes a bit. 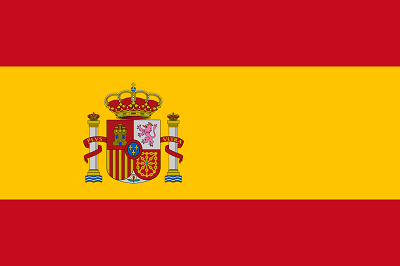 Some people think that Chinese is harder than European languages like Spanish, French or German. But let’s have a look at a few aspects of the Chinese language. 1.No Conjugations. Let’s take almost any European language and it’s harder on conjugations. If you want to use verbs, you usually need to conjugate in different forms. For example, Cantar (to sing) in Spanish becomes Canto (I sing), Canté (I sang), Cantaríamos (We would sing) and so on. There are 14 different tenses and 6 different persons in each tense. What about in Chinese? You can say all these by using only one word! Even though Spanish is probably the easiest languages I have ever learned, Chinese seems to be much easier in this sense. 2.No Genders. German, Italian, Spanish, French… All of those have genders. German has even 3 of them. masculine (der), feminine (die) and neutri (das). What about in Chinese? You never need to learn genders because there are not them. Even though Benny learned German in 3 months and I have also realized it’s an easy language, Chinese is even easier if we are talking about genders. 3.No Adjective Agreement. Italian, Portugues, French… Again, all of them have something that Chinese doesn’t have. For example, if you want to say little prince in French, you use “petit prince” but when you want to say a little girl, you use “petite fille”. This is not a big thing but again a little proof that Chinese is easy. 4.No Cases. Did you know that there are 14-15 ways to say every noun in Finnish or Czech, for example? German has 4 cases and the amount varies in other European languages. In Chinese, there are no cases. You don’t need to think how to say “to the house”, “my house”, “it’s for the house” and so on. You just say jiā (家) and it you can use it all of those contexts. These are only quick highlights what makes learning Chinese very easy. In his book, Benny gives much more tips and even very concrete words and sentences to speak Chinese easily. Everybody knows that Chinese is written with different characters than European languages. Let me give you a mind-blowing example that proves that you have already memorized hundreds of characters during your life. I will show you a few pictures now. When you see those pictures (characters), you already know what most of they mean. They have some kind of meaning in your head. First one is Apple logo. Then there are many other logos. Maybe you recognize some of them. 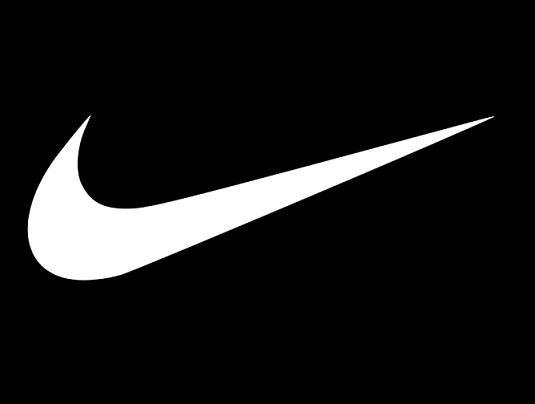 And the last one is Nike’s logo. This example proves a point that you have already learned dozens of characters during your life even though you didn’t even try to memorize them. But what if you put effort into learning them? You will learn very fast. That’s why Chinese is easy. As in the other products of Why X-language is Easy -series, Benny provides bonuses. This bonus helps you to dive into Chinese without using practically any of your time. It walks you through how you can set up your digital devices for Chinese. Did you know that you can also type Chinese on your computer and smartphone? This bonus will tell you more about it. Second bonus will give you very concrete online tools and schedule how you can implement Chinese studies to your daily life. It’s important to plan when and how you are going to study Chinese because easily you will not dedicate time if you don’t take time for it beforehand. I believe that anybody could become a fluent Chinese speaker and writer using 100% online tools. Nowadays we have the best opportunity to learn languages than ever. Chinese Online Immersion -bonus will share you the best Chinese online tools. Benny knows where to find them because he has gone the process himself. Who Is “Why Chinese Is Easy” for? In my opinion, this guide is especially for those who think that Chinese is hard. 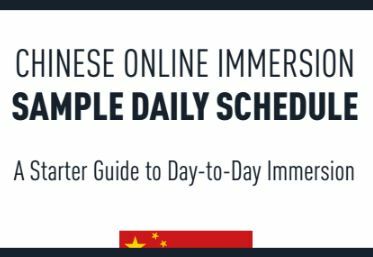 After reading Benny’s eBook and going through his guide, you will for sure realize that Chinese is easy. Benny’s Chinese guide costs $37 which is a reasonable price for the information that he shares. If you would go to local language schools, you should probably pay much more but the benefit will probably not be as big as from Benny’s guide. My recommendation is still that you don’t buy Why Chinese is Easy guide alone. Why? Because if you buy Benny Lewis’ Why X Is Easy- package, you will get 6 guides and Conversation Countdown-course for a discount price. If you would buy all courses one by one, they would cost $222 + $67 = $289. But if you buy them in a bundle, you get all of them for $67 which makes you a 222$ discount. I bought myself Benny’s Fluent In Three Months Premium -course so I got all those guides, Conversation Countdown and other Benny’s resources for $97. 30-Day Risk-Free Money Back Guarantee. No Questions Asked. Conclusion – Is Chinese Language Easy to Learn? What do you think after reading my article? After taking a look at Benny’s guide I realized that Chinese is much easier than I have ever thought. I shared my findings to my Chinese flatmate and he agreed there are many easy aspects in Chinese. => Get Benny’s “Why Chinese Is Easy” Today! Have you studied Chinese? Have you tried Benny’s language learning guides? Learning chinese is something I’ve always shied away from for the very reasons you mentioned. I thought it was too difficult, but it struck me when you mentioned about having the right mindset. I learned to speak spanish because I loved the way it sounded whenever I heard someone speak it.That made me want to learn it, then I found it wasn’t as difficult as I thought. I guess I could use the same mindset with learning chinese. it’s incredible how much mindset affects learning. I always say that learning languages depends at least 80% on mind (pyschology) and only 20% on right techniques. I was also surprised to see many of those reasons Benny mentioned which makes Chinese easy. 你好! Good article with valid points. The example about product logos was very good. However, brand logos are only little bit similar. The meaning of those logos comes from visual memory as well as the meanong of chinese characters. But many chinese characters look very similar and they all black when you read a text. The hardness in that is the differentiation between similar ones. 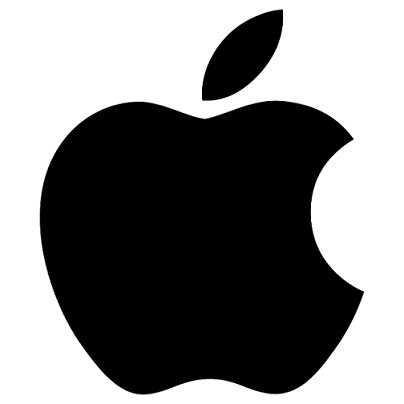 Imagine if there would be 50 similar black apple logos and you should memorize the diffeneces. Its not so easy anymore if you want to be fluent. Anyway as conclusion I would say that very good points and good, well-written article! Of course I believe languages can be learnt easier and the easiness is always little bit subjective. Have a nice day Roope! learning of 50 different Apple logos would just need a little bit of practice and nothing else. If a little child can learn to read Chinese, an educated adult can learn it much faster for sure. Probably the biggest reason that holds people back is their negative mindset. They have excuses like, “I am too old. Those characters look too similar, etc.” But as Benny’s example shows Chinese is an easy language to learn. It doesn’t meant that it would become automatically. For sure it requires some practice but anybody can learn it if he/she wants. i have always wanted to learn a second language, but need the motivation i guess to get started, but i was wondering ? if these books are for Korean or Japanese as well? simply because these are countries id like to visit one day, if not, do any of these methods help learning these languages? Unfortunately, there is no Korean or Japanese in “Why X Are Easy” -series. I recommend taking a look Fluent in 3 Months Premium. That course will help you to learn any language you want. They have also a huge resource collection for learning Japanese. I believe that if you go through all those resources, you’ll be fluent in Japanese. One of my biggest dreams was to learn Chinese, but every time I was looking at the letters and the sentences, it was discouraging me to learn. It looks so complicate! This article has convinced me that it not hard at all. My mother tongue is French, and you are right, it is a difficult language to learn as they are so many different conjugations. I have bookmarked your website so I can read further later on. Just a question, please. How long do you think it will take to learn the Chinese basic? it depends on a few factors how fast will you learn Chinese basics but I bet that it takes much less than most people think. Some people become fluent in Chinese in 6 months if they practice every day a few hours. Have fun with learning Chinese! Is Chinese language easy to Learn? Yes, ,says Benny Lewis! Really? Yes you say, Mr. Lewis? Just for the sake of avoiding an argument, I will agree with you for a moment and follow this thought. I have a two year old grand daughter who has learned to speak English, and learned to count to twelve. She has learned the many animals of three countries, all of her colors; not just the colors in the rainbow and even how to spell several words. This is a two year old mind and it is a sponge. My mind on the other hand can soak in reading an excellent book, memorizing some piano keys or music, recalling a recipe, and remembering the birth of my two sons. If I sit and let my mind wander long enough, there are many memories I can recall. But ask me the name of an old friend in high-school and all I can see is a face, which is frustrating. So, keep going and sit me in front of black-board, a book, some paper, and a writing instrument, and a Chinese language professor. Is that even what they might be calling them? One line at a time, one word at a time, practice, practice every day, every night and I would have to be very devoted to learning this language and my professor must be the most patient person on the face of the earth, and very kind. I do know myself and I am fairly smart. I graduated with a four point from University of Eastern Oregon. So when it comes to learning something new, I have to be interested, first of all and if I wanted to learn Chinese, I could do it on my own with a book. The big “if” is “I have to have the interest in learning Chinese on my own” to do it. But you are extremely right when you say that learning “shapes” is easier to learn than full words. Russian, German, Swedish, Italian? I suppose once you get started, you might as well learn them all? I enjoyed your post, and you have given a challenge to people to do something other than sitting in front of the television or playing computer games. And it’s true that the more you do to challenge your brain, the more it will hold and the more you will have available to work with when moving up in the world as far as how you feel about yourself and others. On top of that you can travel to China and will be able to communicate with the people when you arrive. Great Post. I’m not ready to learn Chinese but I suppose if I were going to learn another language, this would be it. Good luck to you…keep posting. thank you very much for sharing interesting thoughts regarding Chinese and other languages. In all learning the motivation, interest and dedication are big factors that will decide if one will learn a thing or not. I believe that anybody can learn anything if he decides. Swedish and German are very similar but Russian and Italian are already a bit different. However, Italian is also very easy if you already speak any European languages. In this article, you present an interesting point. You mention that language learning is 80-90 percent mind set and only 10-20 percent is related to technical issues like grammar. I think this is really true. I live in a place where the natives speak different language, even after living in this place for many years, I don’t understand their language, however, my wife who came to live here can easily speak the language. What she had that I did not have? Yes, he believed she can learn the language however, I never tried learning it. Thanks for sharing your story about this. I think it applies to everything else as well. If you are committed reach some goal, you’ll put everything into it until you get the result. Many people are only interested and not committed so that’s why they don’t get the results they really would like to have. I think those are steps to success in any area, including language learning. I agree with your four point guide to successful language learning. First of all, we need to have a clear goal. When you are learning a new language, you must have a goal such as “I want to learn this language no matter what it takes.” A clear plan of action will help us achieve the goal. A Clear plan of action can be setting a time to devote to language learning, practicing the language etc. If we are not committed to what we are doing, we will never achieve our target. And we should have a deadline for our goal. You cannot take forever to learn one language. I have listened to teachings about setting goals so much but time to time I tend the forget the importance of it. Clear, accurate and challenging goals can really fire you up and give you a burning desire to do something. Yesterday just set goals for my online business and I feel so fired up when I think about achieving those goals that it really gives me motivation to work harder. I learned a little bit writing Chinese words. But I thought Chinese will be extremely hard for me. But I know what I am thinking right now. I think I mastered the Chinese language for about 2 years probably. 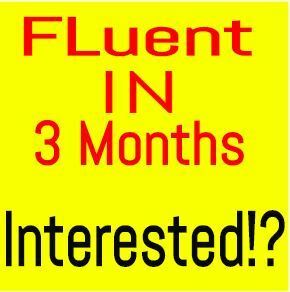 there are adults who become fluent in 6 months or even less. I believe you can achieve the same if you want. However, if it’s your main project and you are doing many other things at the same time it will probably take 2 years like you said. I guess learning a language, especially Chinese with different alphabet and grammar rules that are so different from what we are used to could be very challenging. I do believe though that studying it just like when one is trying to learn how to play the guitar. One has to frequently do it and use it everyday in order to be really good at it. I think that the more you do it, the faster your progress will be, but of course with proper guidance and learning tools. That’s true. Constant and daily practice is a key to success. First it may feel a bit challenging but later on it will become easier. I love the quote from Les Brown, “If you do what is easy, your life will be hard. But if you do what is hard, your life will be easy.” It means that if we always stay in the comfort zone, things will be hard and challenging for us. But if we keep doing the hard things, they will feel easy afterwards. Many things that are easy for me at the moment are hard for other people because I kept on practicing while other people were partying and doing “what is easy”. Basketball was so easy for Michael Jordan because he took the “hard road” and practiced while other people were relaxing. I have always thought that mandarin is such a hard language to learn especially since their sentence structure seems to different compared English. It’s like everything’s going backwards for me. Now that I’m trying to learn Korean, I realized that it is difficult but not that difficult that it would be impossible for me to learn. I guess once you get familiarized with the alphabet and the rules on the sentence structure and grammar, learning it will be a whole lot easier. I always used to believe the myth that Chinese would be hard. I had heard it from other people so I believed what they were saying. However, I learned later on that Chinese is actually easy. I was quite surprised! I have heard similar myths about other languages as well. Some people say, “Russian is hard!” But recently one of my friends who doesn’t speak many languages learned the Russian alphabet in one evening after the work. Exactly! I think what prevents people from learning new and awesome things is when the concept of it being too hard gets in the way. People also tend to give up easily whenever they encounter hardships while trying to achieve something. What I’ve learned though is when you really put your mind on things, despite it being difficult, it is achievable. Plus, we should never base our opinions on others experiences because it might be different in our case. It is best to try it out ourselves. After all, the road to success is never easy. I always agree with the majority of your reviews, recommendations and opinions, but I have to decline on Chinese being an easy language to learn. I speak about 5 foreign languages, Chinese not one of them,10 of my countries local dialets and learning some more at the moment. But if I give Benny’s language learning guide a try and it works out, I just might have to undo my comment. I think the myth that Chinese would be hard is holding many people back from actually learning it. I don’t if that’s the case with you. But I am 100% sure you’ll learn it easily if you just want. 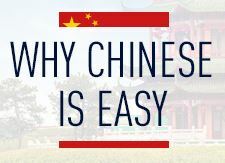 With easy I don’t mean that it would happen in a second but I mean that there are so many aspects with Chinese that make it easier than other languages as I explained in the article..
Chinese will be a better language for me. I think it’s easy to write characters in Chinese because it’s not too long unlike words in many languages. I will try to learn Chinese later on because I’m not done yet learning my french lessons. Alright, sounds like a good plan. 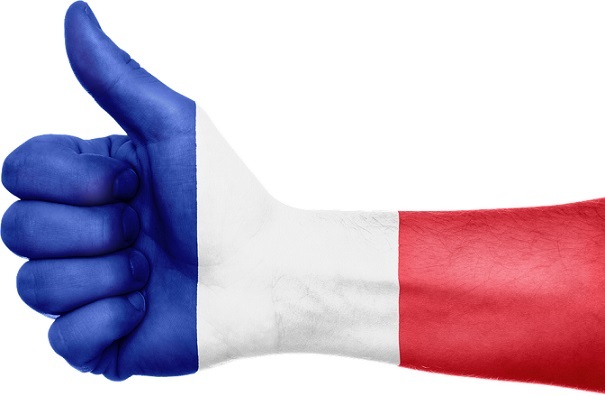 Johan Tekfak always says in his French podcast that it’s good to master one language before you move to a next one. At first, it is hard to learn another language like Chinese. I am working as a factory worker in Taiwan and we need to learn their culture and language to communicate. Chinese is hard because there are words that are the same spelling but different meaning. There are different kinds of intonations in every word. But as time goes by, it is easier to learn when you always talk to Chinese people, you will easily remember those words, the intonations, and its meaning. The only hard thing is learning to write the Chinese characters. instead of concentrating on hard aspects I would just put my focus on how you can master those things. As you said, you’ll learn Chinese always when you talk to Chinese people. If you want to learn writing, you just need to practice it a lot. If speaking or writing Chinese feels hard now, you just practice it and later on it will feel easy. On the other hand, if you skip the training and do something that is “easy”, Chinese will be hard. At first, it will be a challenge for everyone who wanted to learn Chinese language because its not their mother tongue. Different learning schools are there for you to enroll about various languages but its expensive. It’s hard to distinguish the Chinese characters in writing due to its symbols. One symbol defines already a short sentence and can be a paragraph for ten characters(symbol). In any given task, if you wanna learn something new, you must have self discipline and determination to achieve it. By any chance you had a Chinese friend, that’s another big opportunity for you to develop easily their language. challenges make you grow and learn so don’t be intimidated with Chinese. My friend will write a review soon of a wonderful Chinese learning resource that he used himself. I’m currenty working here in Hong Kong for 5 yrs but it seems like I’m not going nowhere to learn their language. I find it difficult, but this article serves an inspiration for me to be more dedicated and be curious about their language with these maybe I can extend my working years in this place. Thank you. Don’t give up yet with Chinese. I had a 2-year pause of studying Spanish but then I started again. I achieved fluency much faster than I could have imagined with the help of Benny Lewis’ methods. No conjugations and no cases are biggies for me. My mind runs a mile a minute and my memory is not the best. I remember having a problem with conjugations in HS while studying Spanish. I just had a hard time wrapping my head around it. And case is another issue I have with all the Romance languages I’ve tried to learn. This is actually opening my mind a bit with Chinese. I do have a great concern with accents still. You’ll make it. With the help of best language teachers in the world like Benny Lewis, it will be way easier to learn Chinese. Yeah, accents are a big concern for me with all languages. I am a native English speaker and I know we tend to speak harder than most people; especially American English. It’s just a little insecurity I have that I need to get over with. I think repetition and practice helps you to get over insecurity. Your comfort zone will become broader and you’ll feel more comfortable doing more things.